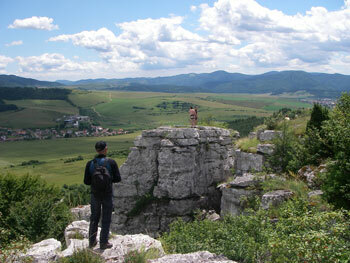 Levoča used to be the capital of the Spiss region. The historical centre is still intact, and has beautiful buildings in Renaissance, Gothic, Baroque and Neo-Classical style. 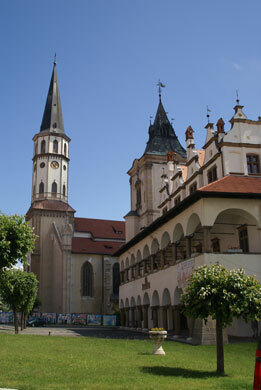 The building on the left is the Monastery. The houses below are just outside the city walls and are in functional 20th Century style. But actually the centre is quite nice. 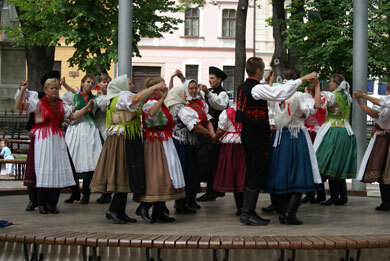 There are several terraces on the main square, and when you are lucky you can even see folklore dancers in action. 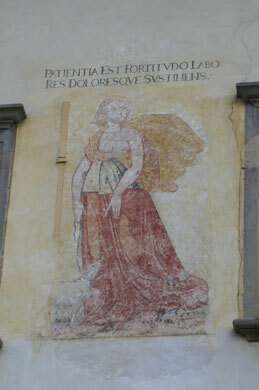 The old town hall is now a museum and beautiful inside and outside. 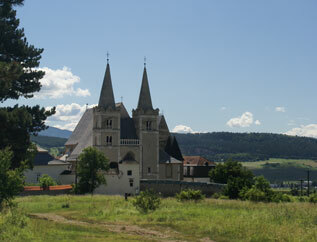 The St. Jacob church is not very interesting on the outside, but the 18 altarpieces are magnificent. 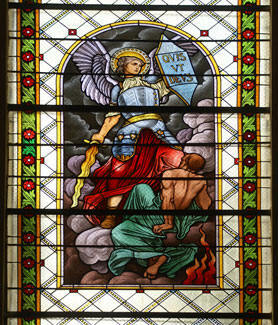 They were made by master Pavol of Levoča. After he finished the main altarpiece, they cut his hand off to prevent him from making a more beautiful one somewhere else. 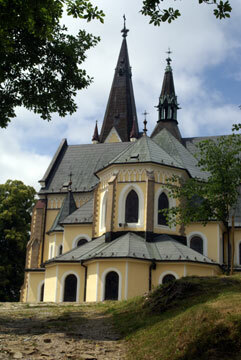 In the nearby hills lies a Maria church. 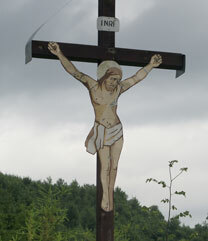 As this was one of the few churches where people were allowed to go during the communist times, this church grew out to a favourable pilgrims place. It is supposed to be crowded with people, but is wasn't when we were here. 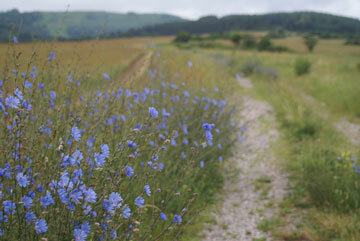 We met only one man on a mountain bike and a family preparing a barbecue. And in and around the church itself were a few nuns. 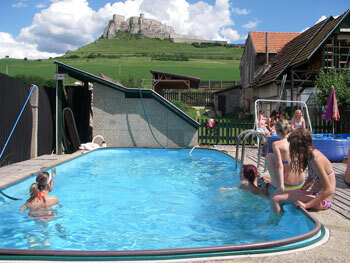 Between Levoča and the Spiss fortress you find a well with mineral water. 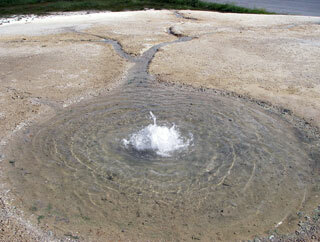 The minerals form a stone called travertine. This does not prevent people from drinking the water. On the contrary, they are lining up at the tap and you can buy it in bottles under the name Baldovská. 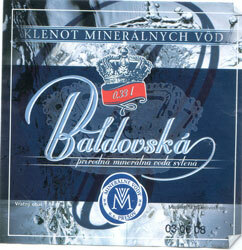 So, this is not a brand of vodka, but of mineral water (voda in Slovakian). 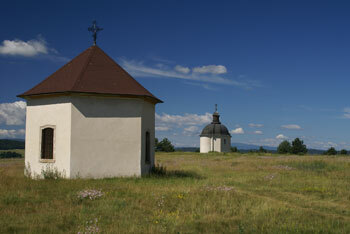 From the well, a path with three chapels leads to Spišská Kapitula. 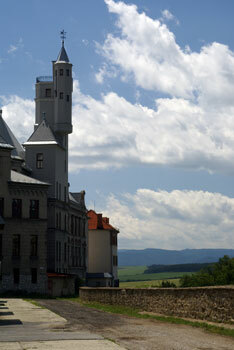 This is a walled religious complex with a cathedral, the palace of the bishop, a school and several houses. 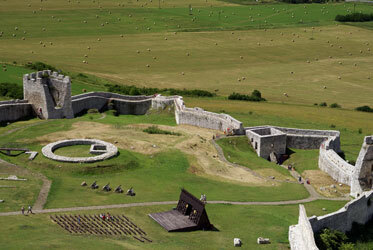 Together with the Spiss fortress Spišský Hrad it is placed on the Unesco World Heritage list. We were here on a Sunday morning. In the church was a service going on, and because the door was open, we enjoyed a part of it. 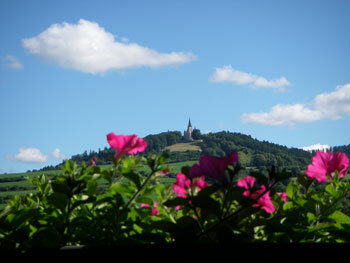 The Spišský Hrad is a large ruin of a castle. 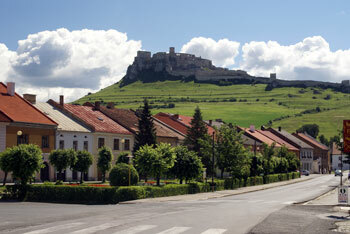 Some Slovakians claims it's the largest castle in Europe. It is about the same size as the Windsor castle in England. 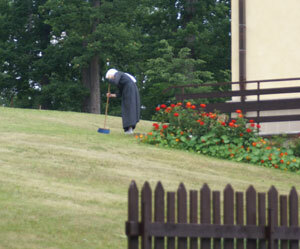 Too bad for the Slovakians, Malbork in Poland is almost 4 times bigger as those two. And outside Europe, there's the Crac des Chevaliers in Syria. Well, never mind... it's still a VERY large castle. 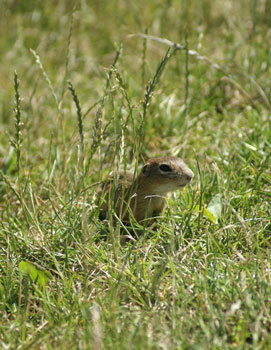 On the first square we got distracted by small furry animals, European ground squirrels. They were a lot of fun, standing on their hind legs and disappearing into small holes in the ground when you got too close. 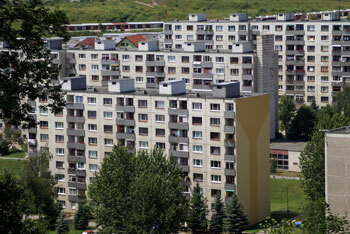 Is this a Spišský Hrat ? 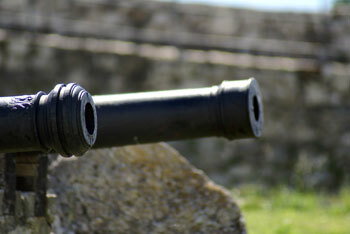 The white travertine is used as a building material, for instance for the fortress. 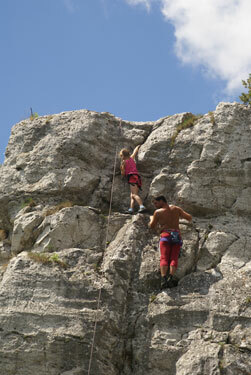 But you can also climb on the rocks, as you can see on these pictures. From our hotel we had a view at the fortress. At dark it is illuminated by lots of lamps. As we had seen a sign that the lights were sponsored by Volkswagen, we suspected that not all the lights would be working. After all, who has ever seen a Golf with all the lights working? But it seemed to be all right (although we couldn't see the backside, of course).